⋅ 100% of students receive financial aid. ⋅ Merit scholarships range from $12,000 to $24,000. 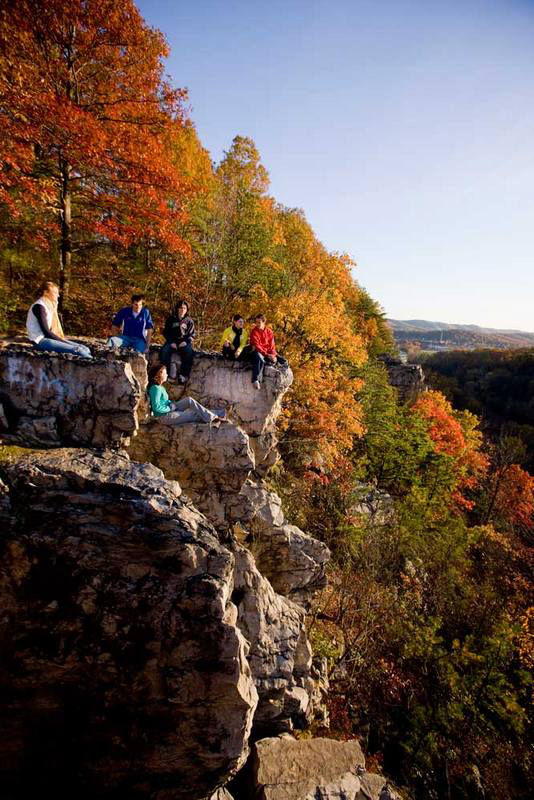 The Juniata campus includes a 110-acre main campus, a 316-acre nature preserve, and a 365-acre environmental field station at nearby Raystown Lake. The majority of students design their own individualized Program of Emphasis (POE) with the help of two faculty advisors. Juniata College is one of five recipients of the 2012 NASFA Paul Simon Award for Comprehensive Internationalization. As the first rural school to receive the award, Juniata is proud to continue the Global Engagement Initiative in which 53% of students study abroad and 6% of the incoming class are international students. Juniata recently received a $1,000,000 grant from the Howard Hughes Medical Institute. The grant will supply funding for approximately forty students to conduct summer research on the human genome and provide support for learning communities of faculty members to design curriculum that will explore the ethical, legal and social implications of the human genome. Juniata is one of only forty-seven primarily undergraduate institutions nationwide to have been selected for this award. 93% of graduates have jobs or advanced study plans within six months of graduation. While at Juniata, most students take advantage of experiential learning opportunities including study abroad, internships, and research. Juniata is also included in The Princeton Review’s Best 361 Colleges, Making a Difference College Guide, Barron’s Best Buys in College Education, Peterson’s Competitive Colleges, Kaplan’s Insiders Guide to the 320 Most Interesting Colleges, The Fiske Guide and Forbes.com, among others. Of 148 full-time and part-time faculty, 95% hold the highest degree in their field. 100% of classes taught by faculty; there are no teaching assistants. The majority of students live on campus in 15 residence halls. Special interest living options include an international floor called “The Global Village,” and “The Eco House,” which is comprised of students who wish to lessen their impact on the environment. Students may also apply for Living and Learning community houses in French, German, Spanish, and Russian. On-campus housing is guaranteed all four years. 104 student clubs and organizations exist. If Juniata doesn’t have it, you can create it! 19 varsity athletic programs; Member of the NCAA Division III, Centennial Conference (football), Continental Volleyball Conference (men’s volleyball) and Landmark Conference (all other sports). No sororities or fraternities — Juniata’s social scene includes everyone! Juniata College has a tradition of excellence within the Fulbright program. In the last four years Juniata students earned 11 Fulbrights. On average, 1,100 grants are awarded nationwide. The class of 2014 includes one Fulbright Scholar. Alyssa will be researching the role of certain bacteria in breaking down aromatic contaminants in Santiago, Chile. 96% of Juniata graduates are pursuing their career or in graduate school within six months of graduation. With a 100% placement rate into medical school and 100% placement rate for law school, Juniata students are extremely successful in post graduate education. Graduates of 2011 and 2012 can be found studying a variety of subjects at Carnegie Melon, Columbia, George Washington, Georgetown Law School, John Hopkins, Temple Medical School, University of Pennsylvania College of Veterinary Medicine and Law School, and York St. John University (York, England). Many Juniata students pursuing their post-graduate degrees from across the curriculum receive funding. From educational outreach at the Wolf Trap Foundation for the Performing Arts to conducting research at a genetic testing lab, Juniata Alumni easily transition from classroom to career thanks to the array of skills they acquire in their undergraduate studies.